This month Disney’s “Peter Pan,” will join the Walt Disney Signature Collection, when it releases on Digital and Movies Anywhere on May 29 and on Blu-ray June 5. With a little faith, trust and pixie dust, families can let their imagination soar on this epic adventure to Never Land. 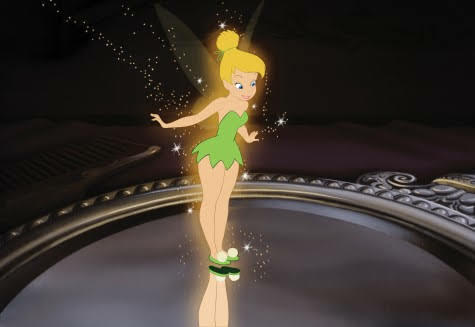 Speaking of pixie dust, one of my favorite “Peter Pan” characters is Tinkerbell! So when I was invited to interview Mindy Johnson, author and historian of “Tinker Bell—An Evolution”, I was ready to learn all the behind the scene pixie stuff! That little spark of light and sound brought so such fun to the story. For those of you who don't know Mindy, here's some background info. Award-winning author, historian, educator, musician, and preeminent expert on women in early animation, Mindy Johnson’s latest groundbreaking book Ink & Paint – The Women of Walt Disney’s Animation, (Disney Editions) redefines our collective history. This essential volume casts a light on the thousands of unsung female artists behind the creative and technical advances within the animation art forms of the Twentieth Century. 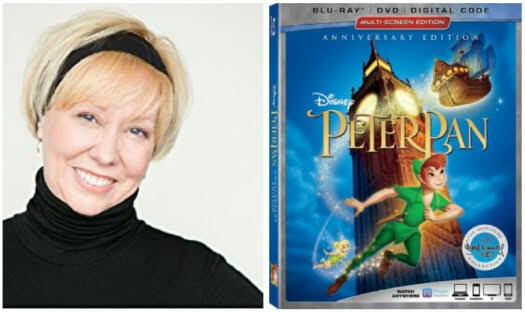 Mindy’s critically acclaimed book, Tinker Bell – An Evolution (Disney Editions) was honored with rare consecutive Family Choice Awards. Now onto my interview with Mindy about Tinkerbell! Mindy Johnson: That was quite an adventure. When I was first diving into it, I met with some of the researchers at the Animation Research Library. They said "we have a binder that has a lot of fairies. We're not quite sure, but we think their Tinkerbells"
That was mystery enough for me. I was fascinated. I've always loved the Tinkerbell character anyway. But to see these different versions, that were so far from what we know and love as Tinkerbell, was fascinating to me. So that spanned a 7 year odyssey of literally going through JM Barrie papers and connecting the dots on this character and how she developed. The different explorations being done for her was roughly a 15 year time-span that Walt Disney was experimenting. Her hair style changed, along with the prevailing fashions of the day. But going back even to J.M. Barrie development of the character, her original name was Tippytoe. How she was formed in the play as a little flash of light, was one of the challenges that Walt Disney and his artist were exploring in embodying her for the first time. So it was a fascinating journey. There's been many changes to Tinkerbell over the years, do you keep up with that or is your version of Tinkerbell separate? Mindy Johnson: That's an interesting question. I'm always fascinated with how we interpret this character. Because she embodies so much. She's the instigator in the original play. And her role shifts a little bit in the books. But she's a constant presence. It's been great fun to see how the story of Peter Pan and Neverland and the many wonderful characters are a terrific platform to work within to find the before stories and all these other side off shoot stories. I love seeing how she has expanded a little bit. She can be portrayed a little bit more modern or as J.M. Barrie's original envision of her. If you could give Tinkerbell a power now in 2018, what power would you give her? Mindy Johnson: I think she does in many ways *wink* and unify many people. Maybe a wee bit more of that. She teaches us to laugh at ourselves at times. She gets over dramatic with a lot of things but then can quickly turn on a dime with her emotions. J.M. Barrie stated that she's so tiny she's only capable of one emotion at a time. Walt and the artist of Disney sorta took that idea and tried to find ways to convey her as a pantomime character. So Mark Davis and the various models that he had to work with, including Cathy, helped him to shape and define her. He designed her to be a little girl from the waist up but a woman from the waist down. So she embodies quite a bit for being so tiny. I think for today's superpowers, I think she's already got what she needs. Do you think Tinkerbell as a female character, has a relevance for females today? Mindy Johnson: Absolutely. Like I said, she was a real instigator for the original films and play. But I think she spoke her mind and was tough. As tiny as she was, she could be right in the mix of the lost boys and pirates. From the generations of reactions I've seen from readers and audiences, I think that's the reason why both men and women embrace and love her. Which is why you see her carried out through the parks and early television. I think that still hold true today. I so agree. Tinkerbell is still greatly adored by many, who will enjoy watching her in The Walt Disney Signature Collection edition of “Peter Pan”. Celebrate the 65th Anniversary of Walt Disney Animation's Peter Pan, available on Digital and Movies Anywhere May 29 and on Blu-ray June 5. Joining the Walt Disney Signature Collection, relive the animated classic with more than two hours of bonus features and new never-before-seen extras.